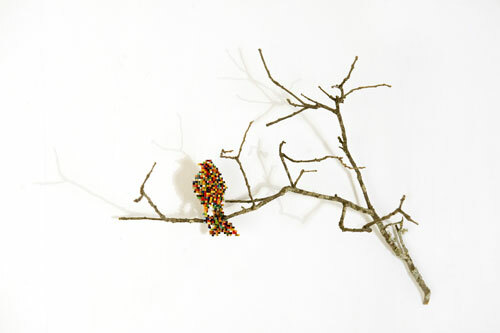 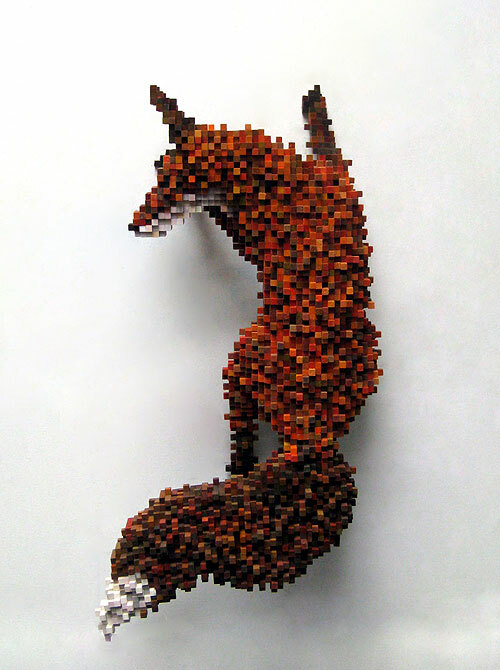 Wow, I really love Shawn Smith's "pixelated" wooden animal sculptures. 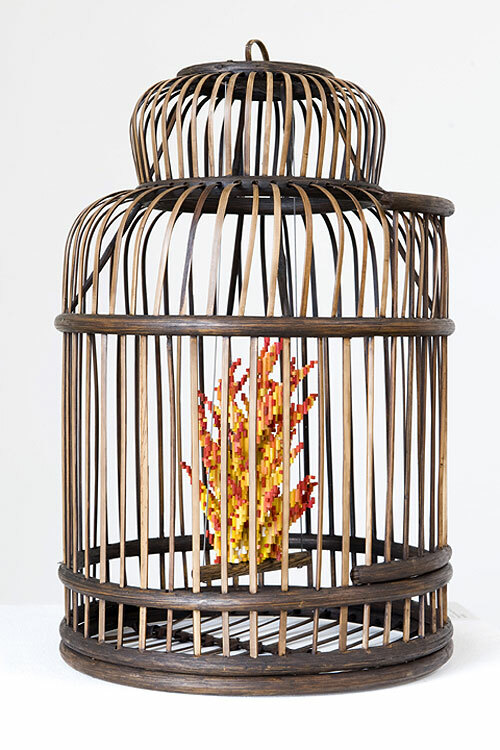 According to his website, to make these sculptures, Smith "starts with a full sheet of material like plywood or MDF and cuts it into 1/2" strips of varying lengths--typically 1/2" to 2' long." 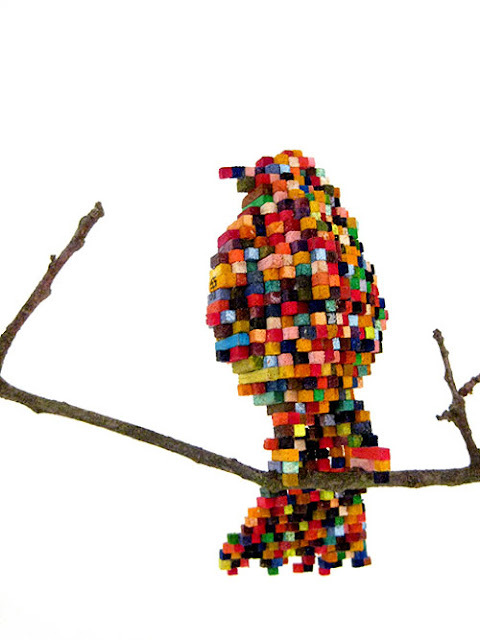 He then "hand dyes each strip of wood individually with dyes mixed from ink and acrylic paint and mixes each color by hand to create a huge palette of colors in order to give the sculpture more depth and visual interest before assembling the object."